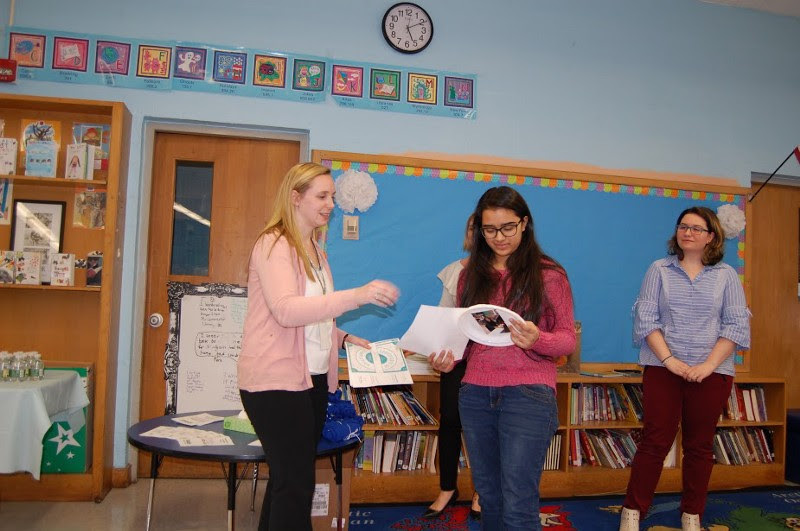 Last November during a Queens College Tech Incubator event I had the honor of meeting the team at Long Island Women in Tech which aims to increase the number of women in technology roles on Long Island by providing a supportive community, mentorship, career development and education to women at all levels of their careers. In February I finally decided to ‘officially’ volunteer and took on a challenge that ended up to be a rewarding experience. 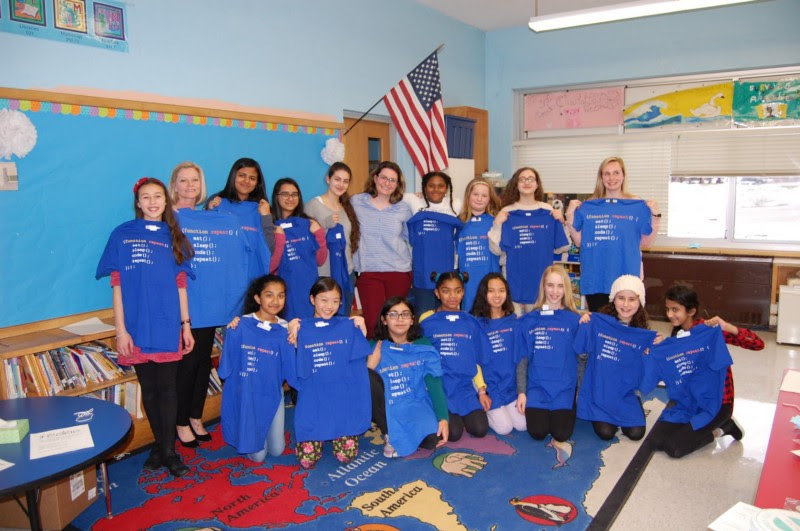 A local chapter of Girls Who Code was looking for a speaker for their graduation ceremony at Long Island School for the Gifted. It would involve giving a speech to the young ladies along with their teachers and family in the audience as well as handing them their diplomas. I would also have the opportunity to see their projects showcased and ‘inspire’ them. After some deliberation, I decided to accept this opportunity as both a resume building activity and a chance to work on my public speaking skills. However, I can honestly say that by the end of the evening, I felt more inspired by these young girls then I ever believed possible. The love and dedication put into these projects was astounding. From virtual zoos to homework assisting websites and charitable projects designed to inspire kindness; I felt so grateful to be a part of their special day. Dr. Geyer, the school Principal welcomed me with open arms and Mahnaz Karim, mother of one of the students who was also responsible for reaching out to LIWiT and myself initially, was a true help throughout the whole planning process. I would also like to thank all the teachers who participated in this event as their dedication to the program was clear through the girls excitement. They inspired true cooperation within their students and I hope they will continue to do so. 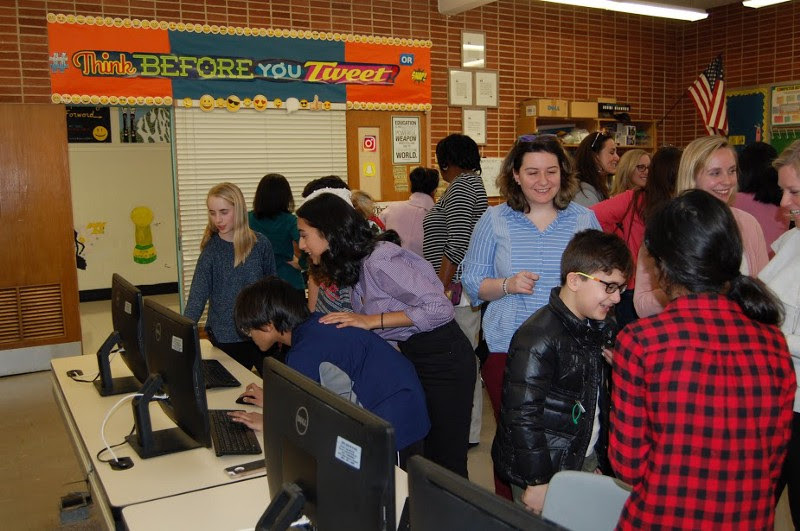 I am also very happy to say that the Tech Incubator at Queens College is currently in contact with Long Island School for the Gifted for a potential future partnership! Overall, I can honestly say that the experience as a whole was truly both character building for me. If I could give one piece of advice to other students, it would be to break the barriers and explore opportunities given to them outside of their comfort zone. They will soon realize, just as I have, that the challenges we face outside of our norm are often the most rewarding. Margarita Zias was born in Queens, New York but moved to Greece when she was 6 years old to a small village of about 200 people called Militsa. She later moved to Australia, back to Greece and eventually- New York to complete her high school education. She is currently a Computer Science and Mathematics major student at CUNY Queens College and has represented it and it’s tech incubator at various events around the country from SheHacks Boston to AthenaHacks in Los Angeles. She works as a cybersecurity facilitator for the tech incubator at Queen’s College and as a marketing assistant for Texas Scenic. She loves building things as a result of her time working in an electrical shop when she was 16. Some of her hobbies include anime, superhero movies and diving. Margarita often blogs about her tech experiences on her website https://www.mz-creations.com/. You can connect with her on LinkedIN.